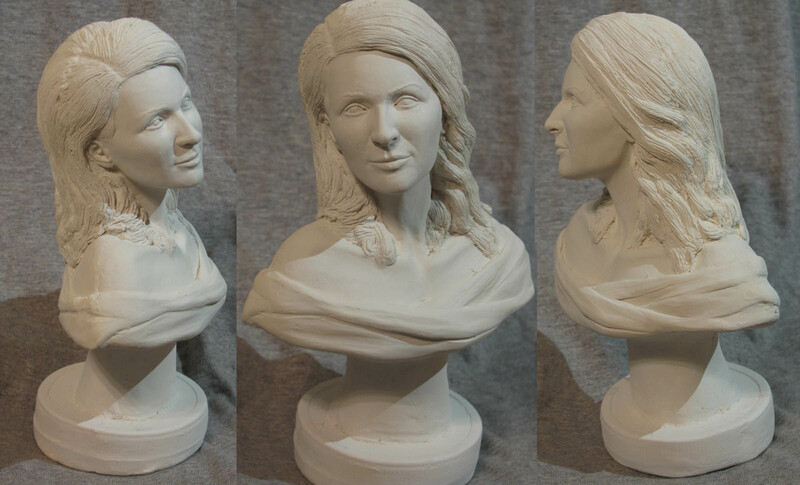 Been planning to do some live sculpting demos (realistic figure heads--oil based clay, small scale--1/5th scale or so). Using a model. I am trying to change my habits in sculpting to be more efficient. 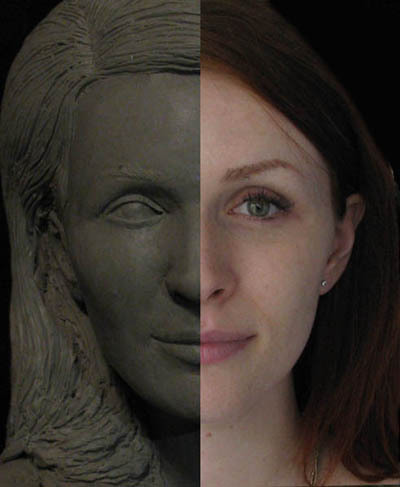 In the past I would just start sculpting an eye and not even bother to mark off the clay for symmetry and alignment. I ended up with lopsided heads and always had lots of corrections to make. Then after talking with someone trained in Italy-I began to think maybe a little marking of the clay at the beginning would save a lot of time and error. I have done some heads in practice--duplicating old ones--I can get a somewhat reasonable portrait in about three plus hours. I prefer using photographs and expect even with a live model I will end up using photos for the bulk of the work (especially as I want to limit the pose time to 2 hours). I was wondering about others--if your goal is realistic depiction, how fast can you go? How much time do you devote to setting up the base of the sculpture? Any tips on doing an efficient portrait when working from a model? First I place my model on a turntable such that the center of rotation is through the center of her head. I mount the camera on a tripod and make eight photographs: front , back, 90° right, 90° left, and the four 45° positions between. I print them all the same size, large enough that I can view the clay head and trace the outlines of the photograph with the clay. A shot from directly above can prove useful too. Then I place the armature on a turntable on my work table, mount the photograph so the clay head is between my eye and the photograph, and do the front view so that her head is shaped exactly like the front view photograph. Then I do the side views and the back view. Then the 45° views. When those are exact, I am always amazed at how much the clay head already looks like the model's head. Then I can use the live model to work on the details, without ever having to alter the shape of her head—it's already exact. The book "Modeling and Sculpting the Human Figure" by Edouard Lanteri provides the most helpful basis for setting up and starting work on a portrait head, along with much practical advice. I'll have to look into that book. I managed to attempt a live portrait although didnt get very far. It took 2 and a half months to find a model-and by the time someone actually was serious about showing up I had abandoned the idea--but then to my surprise they actually did appear. A professional model. I think I talked too much while attempting to make the head in 1/4th scale. Then I took some photos to do the head later. I didnt take enough photos. She had enough model photos for me to work from-though I had to factor in age-since some of her photos were from her teen years and her nose grew! I was disappointed with the process. The final sculpture was decent, but my eyes weren't trustworthy-I kept having to adjust the upper eyelids and mouth. Looks like something I would be proud of. I think some people just are not cut out for exact likeness portraiture. Great likeness. I would be happy to have modeled that. I nominate KelEG to remake the Lucille Ball sculpture. I think KelEG would do a much better job. Ha there's a Lucy mascot sculpture for this forum? I have been focusing on 1960s movie actors lately--using screen captures as much as I can (because I can see angles and shapes due to light changes). But even there I kept making mistakes. Getting better at spotting them but too often i don't catch it until I take photographs.